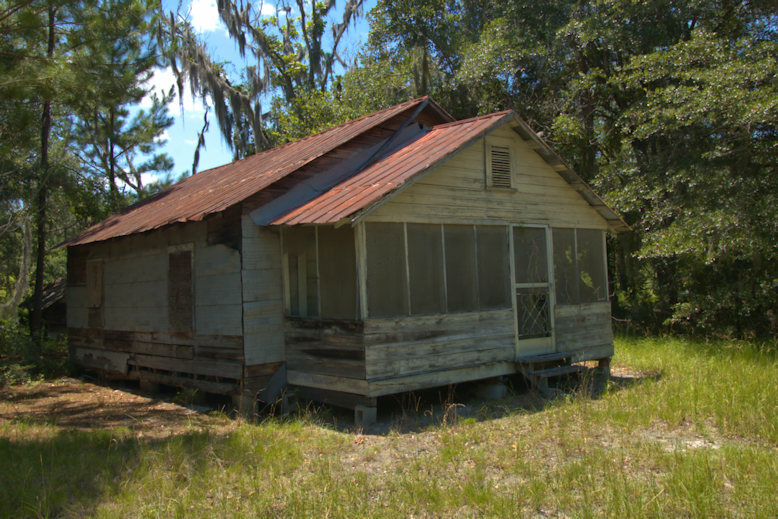 I recall an old Primitive Baptist Church, I think off GA 251, Cox Rd on McIntosh County near Darien. It would be a good find for you. I was involved in the the chamber of commerce in the mid 60s. Brian, do you have an idea of the age of the home? Are there certain things you would look for as clues, tin roof, building material etc? ?